This year marks our 50th anniversary. 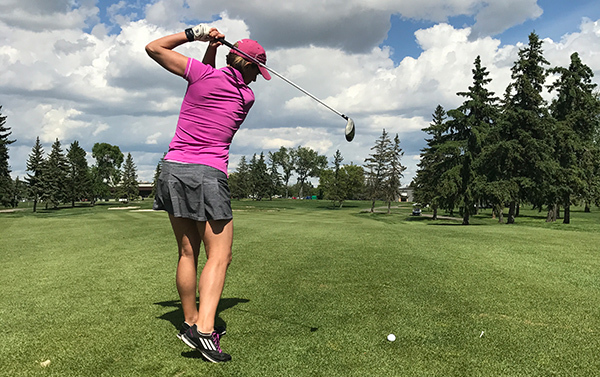 Join us as we celebrate this significant milestone at The Derrick Golf & Winter Club on Monday, June 4th for the 28th Annual Win FORE WIN Women’s Golf Tournament. This tournament starts with a light lunch, followed by a shotgun start. During the day, we host proximity contests, food and beverage holes, a fun silent auction and so much more! Wrap up the day with great prizes and a wonderful dinner. The fun starts with registration and lunch at 11:30AM, followed by a shotgun start at 1:00PM. Our community has been the core of our growth, serving as the thread that links our past with our future. So, as we mark our 50th anniversary and look to the future and our vision of a world where women and children are safe and free from abuse in their environments & relationships, we stand ready to honour the past, embrace change, and seize opportunities. We are confident that in our second half century, we will continue to empower victims of domestic violence. Each year, WIN House helps thousands of Edmonton-area women and children overcome domestic abuse—whether it’s through our homes, 24/7 Helpline or counselling programs. Your donations and support are absolutely fundamental to our work. I’m hoping we can count on you as we are seeking sponsorships or donations for hole prizes (team of 4), golfer bags (144 golfers) and our silent auction. Funds raised from this tournament go directly to supporting our programs for women and children fleeing domestic violence. At WIN House, we’re focused on what we can do for domestic abuse victims. So take action, and give in any way you can. Steadfast and strong, with donors like you supporting our cause, we can change and save lives. If you would like more information about attending the golf tournament or our sponsorship opportunities, please contact Mary Anne Nguyen by e-mail or phone at (780)471.6709, Ext 225. We can do something about it. Join us and act.